Raise your hand if you like pretty things? Keep that hand raised if you like to eat? Now, final question, raise that hand a tiny bit higher if you like fine food (with a no fuss clean up)? Lot’s of questions, I know, but it’s only because I am dying to convince you to make this White Bean Rosemary Spread this season! Surely you could make this year round, but I promise you, every delicious holiday party will have this White Bean Rosemary Spread so I didn’t want you to miss out! And, more to the point, I want you to keep that hard earned money in your pocket by making this simple spread that can be served a zillion ways! Case and point, here’s how I suggest you venture out with this spread! Slather this on a delicious naan bread and top it with some artichokes & pickled red onion. Skip the mayo and put this on those mini brioche buns with that grass fed slider. I promise you, it’s a delicious and nutritious way to spice up that burger! Mix the spread with a little bit of ground turkey or vegan crumbles and stuff it inside a mushroom cap! Bake at 350*F and top with a little Parmesan cheese- delicious! Yep, remake a classic by adding this delicious white goddess! It will truly take the original recipe to a whole new level. Alright, those are just a few that pop into my mind, but I promise you, if you can resist the urge to pull out those frozen taquitos and give yourself 10 minutes, something magical can happen! Now, it’s White Bean Rosemary Spread time! 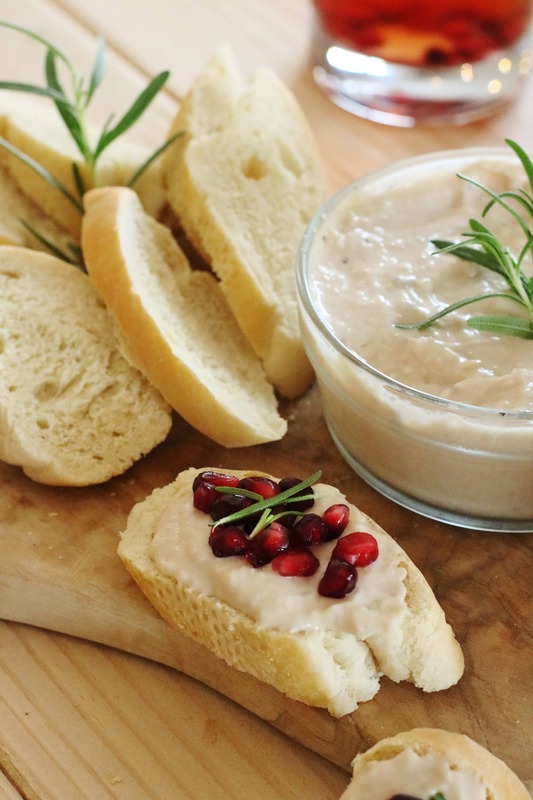 White Bean Rosemary Spread is the perfect dip, spread or appetizer to enjoy year round! It tastes wonderful solo, or on top of fresh baked bread! It's gluten free and vegan too! In a food processor fitted with a metal blade, add the beans and garlic. Process 1 minute. Add in the tahini, white wine vinegar, water, rosemary, pepper and salt. Remove and store in an airtight container in the fridge for up to 5 days. 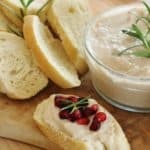 And, if you just want to KISS (keep it simple silly), this White Bean Rosemary Spread tastes beautiful on top of a baguette with a few festive pomegranate airls on top! Here’s a few other magical apps that I love to give you some other inspiration too! « Cinnamon Roll Snack Bites + Tips to Avoid Holiday Hanger! 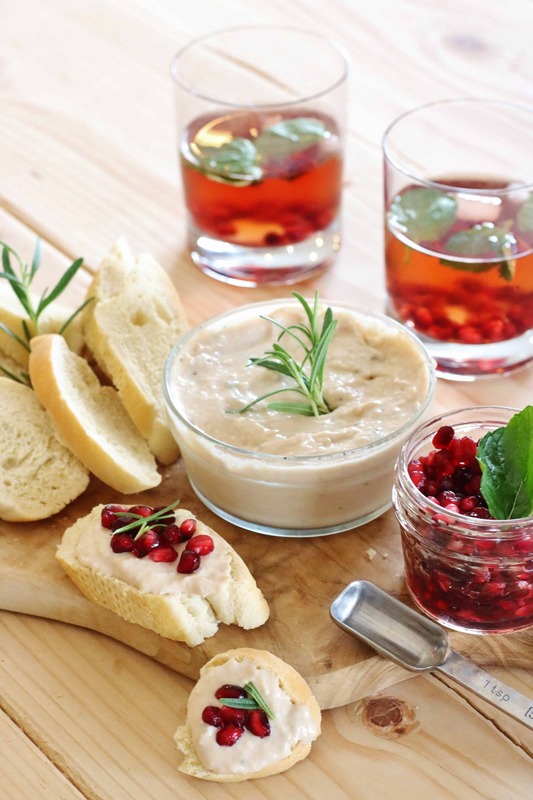 This is the perfect dip for Christmas gatherings! Easy, creamy, and so festive! I made this last year and can’t wait to make it again!! Perfect for parties – thank you! I love making a simple dip for a holiday party. It comes together in minutes and tastes good! 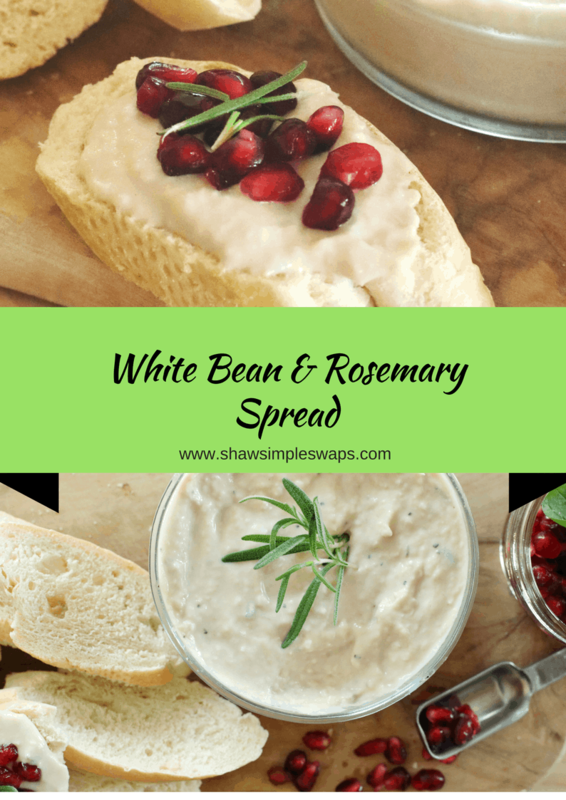 I adore white beans and rosemary together, this spread is great! Just grabbed some rosemary today at the grocery. Game on!!! We used fresh rosemary from the garden and this was so, so yummy! I wish I had garden fresh herbs still!